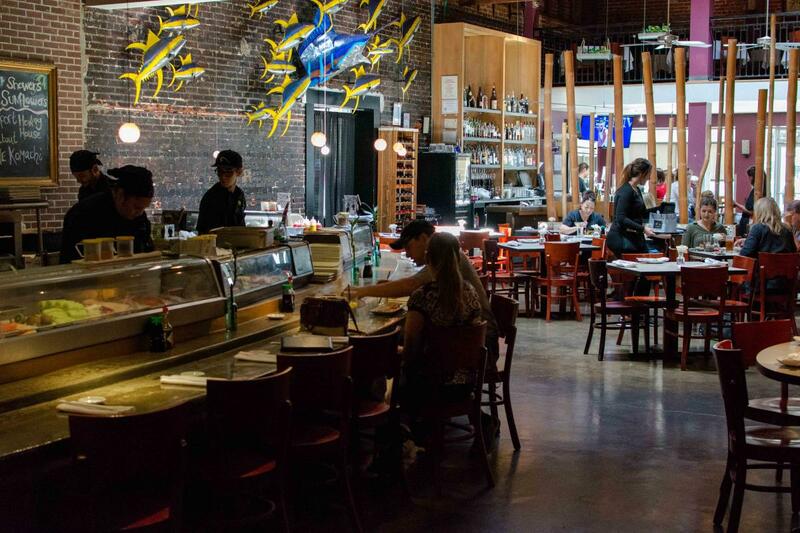 At the beginning of this century, downtown Lafayette was anything but a thriving commercial market, and Sushi was anything but pervasive in Louisiana. However, sisters Michele Ezell and Leah Simon, along with Michele’s husband Sean, began research in 1998 that would bring Sushi into the mainstream in Lafayette. At first, the research was done online, before high-speed internet connections and, for that matter, before the explosion of modern online food culture. Michele researched recipes, techniques, history, and terminology and began to package it all into the concept for her restaurant. Later, Michele would call in to-go orders to restaurants in New Orleans and make the trek, two hours each way, to pick up the food and do taste tests in preparation. In January of 2000, Tsunami opened its doors on Jefferson Street in downtown Lafayette. The partners had been on trips to Los Angeles and other locales where Sushi restaurants were all but ubiquitous, and so they decided that it could be that experience Lafayette diners were missing, perhaps without knowing it. In many ways, downtown Lafayette has grown up around Tsunami, with the bar and restaurant anchoring the midpoint of the Jefferson Street arc. Today, a visit to Tsunami offers something for all the senses. The restaurant is livened with vibrant decor and a stage kitchen offering front row seats. The large crew of chefs seems fully aware that their role goes far beyond simple food preparation. They know they are putting on a show. The script is improvised, and the dialogue is spoken in a colloquial kitchen patois developed over the restaurant’s 17 years of operation. For instance, “Sweet Shrimp!” alerts other chefs to point their gaze at something important in the dining room, whereas “Drop a bean!” means to begin the preparation of an order of the popular Edamame. 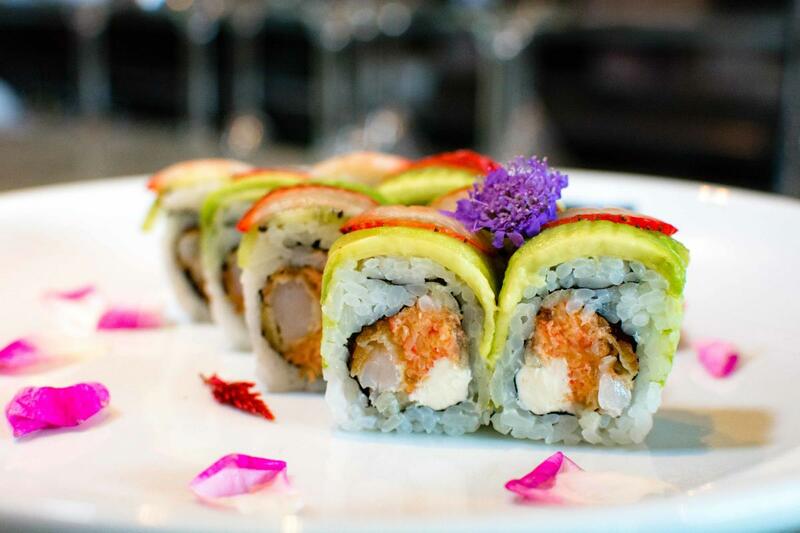 The menu ranges from the traditional to the creative, offering much more than merely sushi rolls. The rolls, or Make, are indeed represented well, and even have a range of their own from simple to complex. With over forty to choose from, some are simple, containing a few, well-chosen ingredients, and others are what Michele calls “Kitchen Sink Rolls,” elaborate creations with numerous proteins, different techniques, and multiple sauces and garnishes. Much of the Sushi is not rolled at all. An entire section of the menu is devoted to the very simple, traditional class of Sushi consisting of the chosen meat, fish, or other protein simply sliced and served by itself (Sashimi), or atop pressed, vinegar seasoned rice (Nigiri). The rice used for this is typically the same rice as that used to make the Make rolls. It is made in large batches for use by the entire restaurant. Many people say the quality of the rice is the mark of good Sushi. 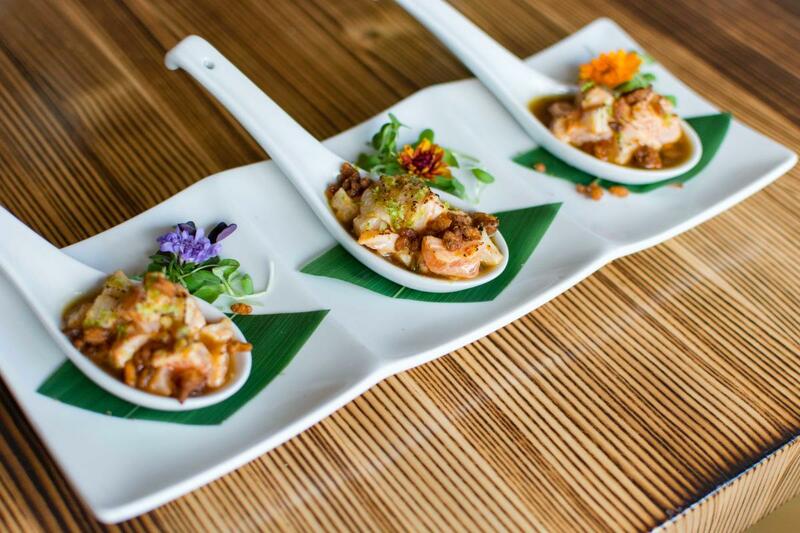 Navigating the Sushi menu is certainly an adventure, but there’s more than just Sushi available to diners at Tsunami. 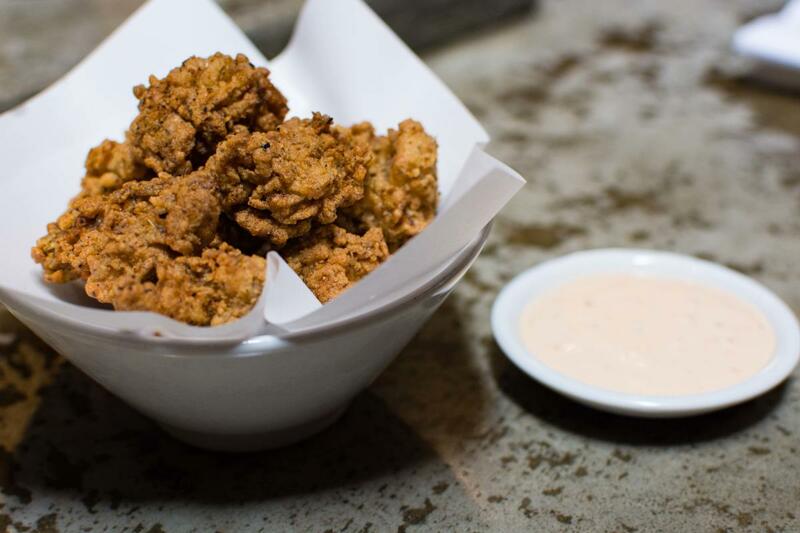 There’s an entire section of appetizers from the expected Miso Soup and Edamame to the non-traditional like Oysters Agemono, a favorite of Michele’s, consisting of cornmeal fried oysters and a wasabi tartar sauce. 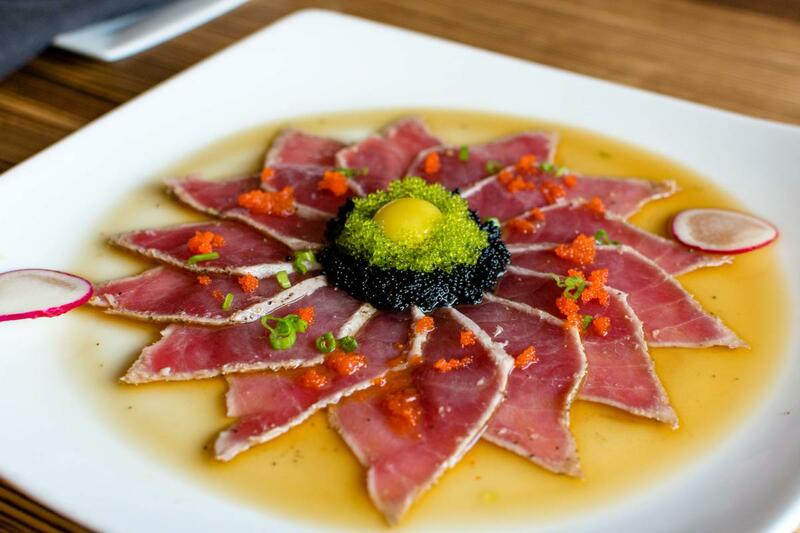 A section of Tsunami Specialties houses creations like the Sunflower, thin Sashimi slices of seared tuna in spicy ponzu sauce served with two types of fish roe, scallions, and quail egg, and Smoked Salt Escolar, where the white fish is torched then served with white truffle oil and smoked salt. Rounding out the menu is a full complement of entrées including a 24-ounce bone-in ribeye steak, a Pork Porterhouse, and the popular Seabass. The bar menu is just as extensive. The restaurant offers a complete wine list with advice on pairings. There’s also a full Sake list including warmed, chilled and even carbonated varieties. Perhaps the not-so-hidden gem of the restaurant is the cocktail program. The drinks are thoughtful, with mixers made from fresh ingredients. 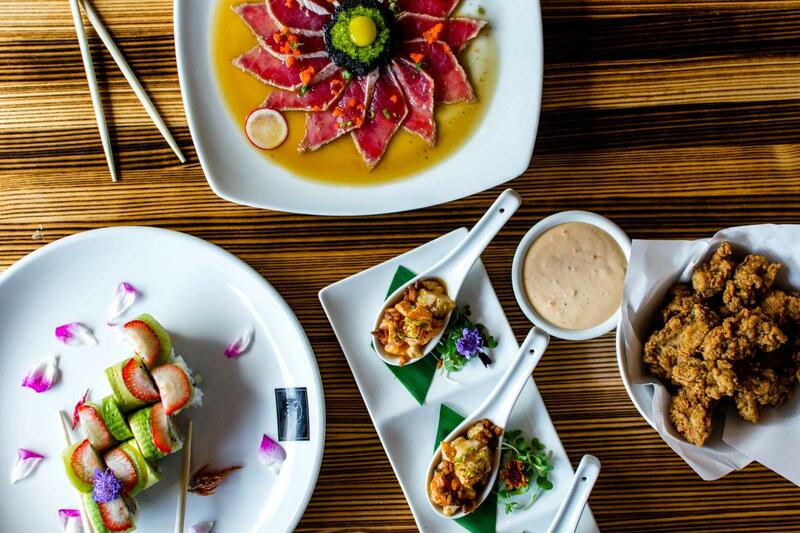 Tsunami has a Happy Hour every weekday from 3:00 to 6:00 PM, offering 25% off select Sushi rolls, as well as drink specials on beer, wine, sake, and mixed drinks at $5, $4, and $3 price points.